Who could ever forget the memorable Rosario “Rose” Bunac Soy? The Grand Dame of Bohol Tourism passed away a couple of weeks ago from a lingering illness. Although the inevitable was bound to happen, the news of her passing was met with shock and grief, especially for those who knew her well. 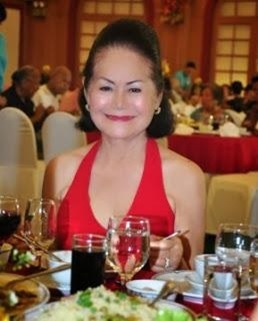 The feisty, fascinating, and fabulous Rose leaves behind not only two amazing daughters, Asuncion and Virgie, and their families for whom the Cion-Virge Restaurant Café & Souvenir Shop located at the Tagbilaran City airport compound was named after; she leaves a lasting legacy in the fine dining restaurant business where she made use of her greatest passions. Rose had always been a culinary wiz who can cook up the best gourmet dishes that can tickle even the most discriminating palate. Add up her legendary entertaining and social graces that have been honed to perfection by her constant hobnobbing with the A-crowd and you get a surefire formula for success. And so it was in 1963 when the Bayview Restaurant & Music Lounge that specialized in Filipino and Chinese culinary delights came into being. The late Bishop Manuel Mascarinas officiated during its blessing. With impeccable customer satisfaction as its ultimate aim, it also prided itself on inviting Manila-based entertainers to ensure topnotch entertainment. With Rose at the helm, the two-storey restaurant and nightly music lounge soon became the watering hole for Bohol’s who’s who. In the 1970s, the lady with the keen business acumen set her sights on conquering the nation’s capital. It was in 1972 when she opened the legendary Manila Steak House along Ermita St. with 1969 Miss Universe Gloria A. Diaz as guest of honor. With her venture becoming a flourishing business, she soon became a permanent fixture in social functions and important events. She even developed a close friendship with the late Joe Quirino, who was the most popular TV talk show host and society columnist and who made the Rose of Bohol a regular guest in his weekly television talk show “Seeing Stars with Joe Quirino” that aired over IBC Channel 13 then. In the mid-‘70s, her foray into tourism started when she opened a travel agency in Manila hoping to market the tourism potentials of Bohol and sooner than expected, and with the support of then Bohol Gov. Lino Chatto and then Bohol Provincial Board Member Erico Aumentado, Bohol Resort Inc. with Rose as president was awarded by the Bohol Provincial Government the exclusive license to operate 10 air-conditioned rooms at the Chocolate Hills Complex. She also produced luncheon and dinner fashion shows at Manila Hotel where slideshow presentations of Bohol’s natural attractions shared the spotlight with the country’s top runway models. Madame Rose is indeed a visionary who had the foresight to promote Bohol as a top tourist destination long before it was in vogue. She is one of the pioneering few who saw and believed in Bohol’s abundance of natural wonders that would entice tourists to fall in love with the province. Rose Soy was instrumental in bringing in Anos Fonacier to see for himself the captivating beauty and splendor of Bohol. And the rest is history. Aside from being an astute businesswoman, Madame Rose is also a devotee of the Virgin of the Assumption and never fails to visit the Assumption Church in Dauis every Saturday. Back in 1976 she donated a life-sized statue of the Birhen sa Lourdes at the grotto of the Chocolate Hills complex in Carmen, Bohol. Considered as one of Bohol’s most celebrated beauties, she is one of the rare few who defied time and who is often talked-about for sterling attributes such as breeding, impeccable manners, and quiet dignity around her. At the prime of her life, she was bestowed a lot of titles and appellations such as Bohol’s First Lady of Tourism and the Ageless Beauty. She was proclaimed as the Centennial Queen of Circulo Boholano de Cebu, Inc., when the organization marked its 100th year anniversary and was titleholder of both Mrs. Bohol International 2009 and Mrs. Bohol Tourism 2009. But the title that she holds dear to her heart is the Queen of the Rotary of Tagbilaran, a recognition that she held for six consecutive years starting in 2006. With her passing comes the end of a nostalgic era when ladies dressed up to the nines and exuded a sense of style and elegance. She will be sorely missed.